Incremental Development Alliance is planning to hold a Small Developers Bootcamp this year in Greensboro. Jim Kumon has big ideas for small developments. Not familiar with the concept? I wasn’t either before meeting Kumon recently during his visit to Greensboro, a second trip to the city as he works to plan a Small Developer Bootcamp in the city later this year. Through their group, Kumon and his partners promote a creative approach to smaller developments that mix retail, office and residential within existing residential areas of a city. He’s not talking about tearing down a block of single-family homes to build a strip mall populated with a string of 2,000-square-foot storefronts and an expansive parking lot. He’s not after the multi-million-dollar retail center populated with anchor tenants that require customers to drive there to shop. Instead, he and his partners, John Anderson and Monte Anderson, help those seeking to enter the development field find project designs that can fit into a small scale and can often be financed through a conventional home mortgage. The approach allows residents to make an investment to bring amenities into their neighborhoods by creating small retail and entertainment hubs, while providing developers-to-be the ability to begin to build wealth through small-scale projects. Using the concept of letting the form follow the financing, Kumon and his partners have come up with a design for a four-plex with roughly 4,000 square feet with three apartments and ground-floor retail. Such a building would fall under the definition of “house,” assuming the owner initially lives there for a set period, and therefore would qualify for a traditional 30-year mortgage, Kumon said. That provides the small-scale developer a longer time to cover the loan, and it allows for streams of revenue to help cover the monthly mortgage payments, he said. Kumon points to the intersection of Elam and Walker avenues in Greensboro as a prime example where retail, restaurant and office space can be integrated into residential communities. Kumon first became interested in Greensboro through Ryan Saunders, an entrepreneur and real estate broker who heads the Create Your City initiative designed to cultivate communitywide artistic and cultural ventures. Saunders says he’s always thought of Greensboro as a city of villages, with communities like the Walker-Elam, State Street, Fisher Park, Spring Garden and Aycock neighborhoods. Saunders convinced Kumon to visit Greensboro, and earlier this month set up meetings with city staff including Reggie Delahanty, small business coordinator, and Kathy Dubel, economic and small business development manager, to talk about ways the city can foster small-scale development. “We have to look at each of our neighborhoods as their own self-sustaining modules,” Saunders said. That means bringing many of the offerings — restaurants, coffee shops, groceries — into the neighborhood on a small scale so that people can walk to them instead of hopping in their cars, and fostering those investments from within, Kumon and Saunders said. The next step is to work toward a Small Developer Bootcamp in Greensboro sometime this fall. The Incremental Development Alliance has conducted seven bootcamps so far and worked with about 1,000 people in cities including Louisville, Dallas, Portland, Ore., and Kalamazoo, Mich. The one-day workshop, which costs about $200, helps introduce those interested in pursuing small-scale development to the concept and gives them tools to navigate the path to securing financing, receiving permitting and zoning approval and fashioning their projects. The idea is for it to be an ongoing relationship, not just a one-day event, Kumon said. 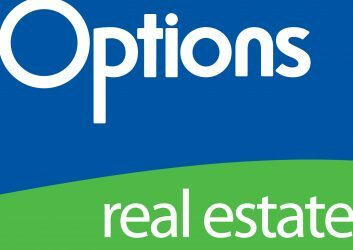 Options Real Estate Investments, Inc.